Microsoft (NASDAQ:MSFT) appears to have decided to entirely skip the idea of Windows 9 and release their next version of Windows as Windows 10. The company’s new strategy does in fact do what the company has been aiming to do for quite some time. It helps unify the marketplaces and apps while still giving people customizeable experiences depending on the platform that they’re using. So now users can use the same app on their phone, tablet, and PC while also being able to (hopefully) share data across those devices through the cloud. They are also bringing back the start menu and getting rid of the full-page start menu from Windows 8 and 8.1. As a result, you can customize the size of the icons that you have pop up when you engage the start menu and you can also use it for search like you could in Windows 7 and Windows 8. However, now, the search box also does web searches as well, which is a brilliant move on Microsoft’s part because there’s a very good chance that Bing will be the default search engine for that and could help them gain more traction with Bing. Microsoft has also implemented new multitasking UIs that bring back some of the legacy snap views as well as multiviews that look strikingly a lot like Apple’s own OSX expose. And Microsoft has also improved little things like the command prompt in Windows 10, which has remained unchanged forever, so now you can paste things into the command prompt instead of manually entering them. Microsoft also appears to be pulling back more from the overall metro UI idea and forcing people to use fullscreen metro apps, but rather more along the lines of what they are familiar with. As many people have said, Microsoft’s jump from Windows 7 to Windows 8 was too drastic and did not allow for people to slowly adjust to change. 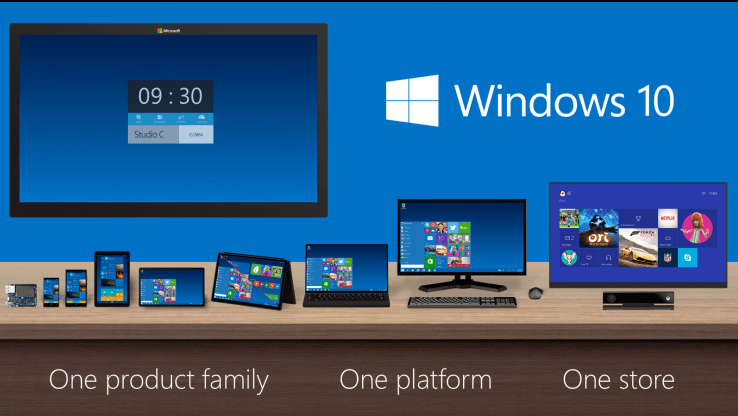 Really, Windows 10 kind of slots in between Windows 7 and Windows 8 and finds a middle ground between the two. This is a clear recognition from Microsoft of what their users want and the fact that they simply didn’t listen to what people want and instead went on their own direction (Windows 8). Some may blame Ballmer for that move, but really, it had more to do with Sinofsky, who is no longer with the company. If you’d like to test drive Microsoft’s newest OS, they will have an ‘insider’ preview available shortly to allow people to test out Windows 10 and give them feedback. The OS is expected to launch in the latter half of 2015 and there’s still no word on upgrades or what prices will be for Windows 7 and Windows 8.1 users. You can download the insider preview here. Oh gosh, they are messing with cmd. Please don’t mess it up.